Today, it’s not nearly as simple to achieve adequate weed control in soybeans as it was 10 years ago. Weeds have evolved and herbicide resistance has created some considerable challenges over time. Below are a few reminders of management practices you might consider with your specific soybean technology. Use 20 gal./A. of water! Liberty® is a contact herbicide, so thorough coverage of the weeds is paramount. Be sure to use true flat fan nozzles. 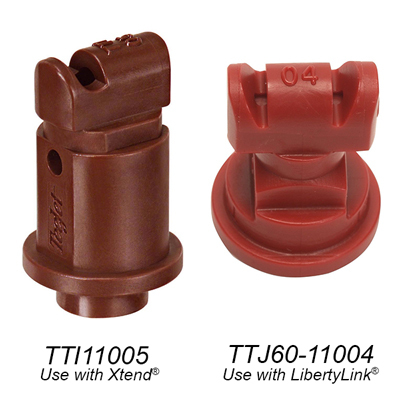 (Such as the red TTJ60-11004 nozzle shown below. )Refrain from using one of the newer hybrid nozzles – AIXR. The “air induction” or “air induction/flat fan” nozzles provide too coarse of spray droplets. With Liberty, we need fine spray droplets and a lot of them to achieve adequate coverage. 50-60 PSI is ideal, but be sure to manage the potential for off-target herbicide movement. Sunlight and heat are your friend. While I know sometimes our post spray seasons become challenging to get all the work done, avoid spraying your LibertyLink soybeans on cool, cloudy days. Target days with temperatures of 78°F or above and mostly sunny to full sunshine. This is especially important when targeting larger weeds. Always use 1.5 to 3 lb./A. of AMS. I’d suggest using clethodim to control grass. Liberty is not particularly effective on annual grasses, especially yellow foxtail. Utilizing 4 oz./A. of a clethodim-containing product such as Select® 2EC, Volunteer™, or Arrow® 2EC will ensure adequate grass control. Along with the incorporation of one of these clethodim containing products, always include a Crop Oil Concentrate @ 1 gal/100 gallon of spray solution. Apply up to flowering or R1 growth stage. 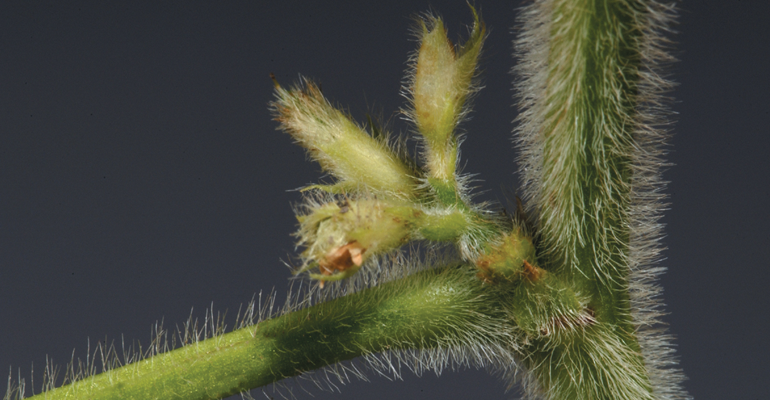 Applying Liberty or glufosinate after soybeans initiate flowering is not a matter of yield loss, but the concern is with potential glufosinate residue in the soybeans at harvest. Currently there are no weed species known to be resistant to glufosinate (Liberty). Use 15 gal./A. of water. The labels for XtendiMax®, Engenia™, and FeXapan™ only require 10 gal./A., but we’ve quickly learned 15 gal./A. is significantly better when attempting to take down larger weeds. This is especially critical when dealing with PPO resistant or glyphosate resistant weed species. Utilize only approved nozzles per specific dicamba herbicide – XtendiMax, Engenia, or FeXapan. (Such as the brown TTI11005 nozzle shown above.) These approved nozzles produce extremely coarse droplets that minimize the potential for off-target herbicide movement. DO NOT USE ammonium sulfate or any ammonium-based additives. This will negate the technology that minimizes volatility. Use only approved water conditioning agents found on the website of each respective product. Maintain 110 ft. buffer downwind to sensitive crops or areas. Apply through R1 or beginning flower. Document all applications as if you are spraying a RUP (restricted use pesticide) – wind speed and direction, time of day, temperature, etc. 10 gal./A. of water may be sufficient, but increase gal./A. when entering fields with dense weed pressure to ensure smaller weeds under the canopy of larger weeds get adequate herbicide coverage. 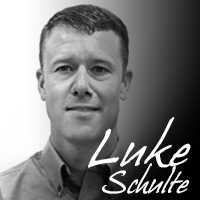 Utilize air induction nozzle types. These nozzles produce very coarse droplet size to minimize off-target movement. If need to control previous year volunteer Roundup Ready corn, tank mix a Group 1 herbicide. Ex: Select 2EC, Volunteer, or Arrow 2EC along with Crop Oil Concentrate. Herbicide with Fungicide & Insecticide? Many times when discussing post herbicide programs with farmers, we get the question, “Can I apply my fungicide at the same time as I apply my post herbicide?” Ensuring successful weed control must be our top priority. A dead weed will not produce viable, resistant seed. So optimal timing of our post herbicide should be dictated by weed pressure and weed height. In most all situations, a post herbicide treatment will be needed prior to the R3 growth stage. If you remember back to our PFR Insight Meetings in January, we shared the results of our fungicide and insecticide timing study with you. As you can see below, timing is everything. 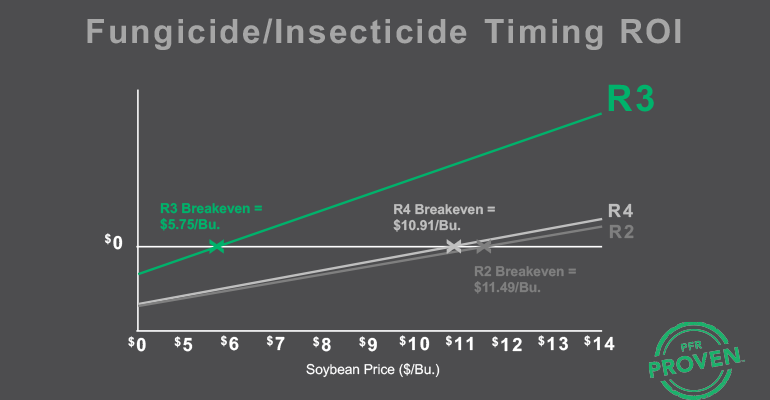 With commodity prices as they are today, it is critical to get our fungicide and insecticide applied at the R3 growth stage to be profitable with this input. Not only is timing critical, but the correct nozzle to produce finer droplets and the correct gal./A. are also important components to a positive ROI with a fungicide application. So in most cases, all the stars will not align to make this into a single application without making a sacrifice to either weed control or disease management. R3 growth stage: 3/16 in. pod on any of the top four nodes on the main stem. If you have questions regarding any of the above information, please do not hesitate to contact your Beck’s dealer, seed advisor or myself. Thank you for your business. LibertyLink® and Liberty® are trademarks of Bayer. Select® 2EC is a registered trademark of Valent U.S.A. Corp. Volunteer™ is a trademark of Tenkoz Inc. Arrow® 2EC is a registered trademark of ADAMA Group Company. Xtendimax® is a registered trademark of Monsanto Technology, LLC. Engenia™ is a trademark of BASF Corporation. Fexapan™ is a trademark of Dupont.